Are there any specs for PowerPort Atom PD 4 yet? I read 100w, that may not be across USB-C ports? I need 65w USB-C charger for my laptop. may wait on the PD 4.
one adapter to travel with and charge everything would be great. I believe Atom PD will be 30w. 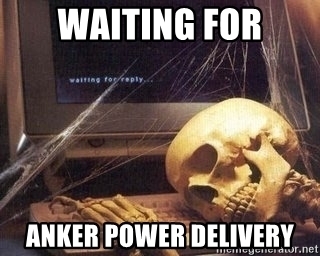 I read the PD 4 will be 100w. I need multiple ports to charge phone, camera, DAP etc. What I am looking is a 4 port 65W USB PD so if I connect 1 device it gets 65W, if I connect 2 they compete to share 65, .... 4 ports they share 65W, that is so I can charge a laptop quickly or a laptop and say a Powerbank, or laptop + Powerbank + future to be made Anker buds with USB-C.
the PowerPort Atom PD 4 has a spec of 100w, just not sure how that would be distributed across ports? 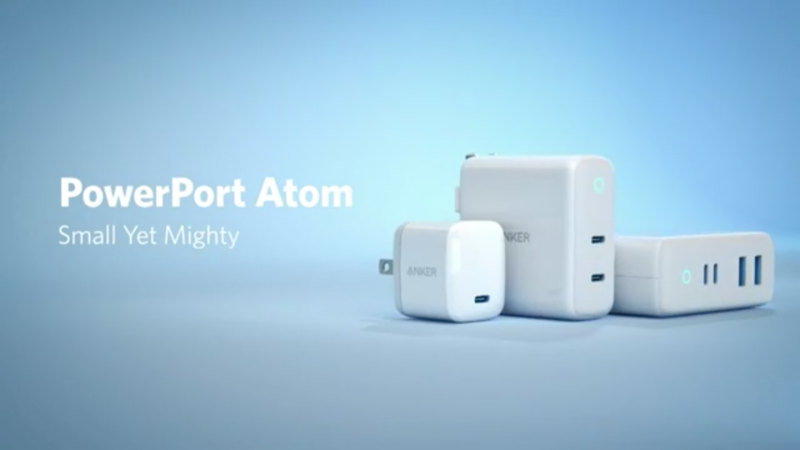 PowerPort Atom PD 4 outputs a total of 100W. 60 of those are reserved for the USB-C PD ports. 60W will have to do! I hope its released soon. Is there any official info? Two A ports can't share 40W total, cause the max for an A port is 12W (Apple 2.4A protocol, USB BC 1.2 is even less at 1.5A), unless they have Qualcomm's QuickCharge, which there's no indication of. I suspect the USB-C ports will have a combined 75 or 76 watts based on this, could be even more if the A ports aren't able to output 24W combined, but that's unlikely. If that's so, then I wonder where the other 16W are coming from to claim a 100W output (60W for C ports + 24W for A ports). I guess the A ports may be rated to output up to 3A (which still leaves 10W missing) but even if so, there is no standard that takes more than 2.4A without violating USB spec, as far as I know. If they're rated to 3A for safety reasons, like brownout protection due to out-of-spec cables with the wrong resistor (like were rampant in the early USB-C days and which Benson Leung helped kill from Amazon), then it would be a bit misleading to advertise 3A output for A ports cause no device within safety limits and within standards will use it. Plus there's still the 10W missing. You mean the Powerport II, with "PowerIQ 2.0", right? The specs sheet in the manual says it's 18W, but in any case, close enough I guess. It seems PowerIQ 2.0 might be emulating Qualcomm's QuickCharge, since AFAIK there's no other standard that mobile devices use that does 9V/2A and 12V/1.5A, besides Samsung's but that also seems to be based on QuickCharge. I need something before my late December trip to charge my laptop (USB-C up to 65w), phone (USB-C or A), camera, DAP etc.and doesn't look like PD 4 will be out or even PD 1.
can someone recommend a USB-C+A charger available now? both pretty bulky. the thin ones i posted might be better. 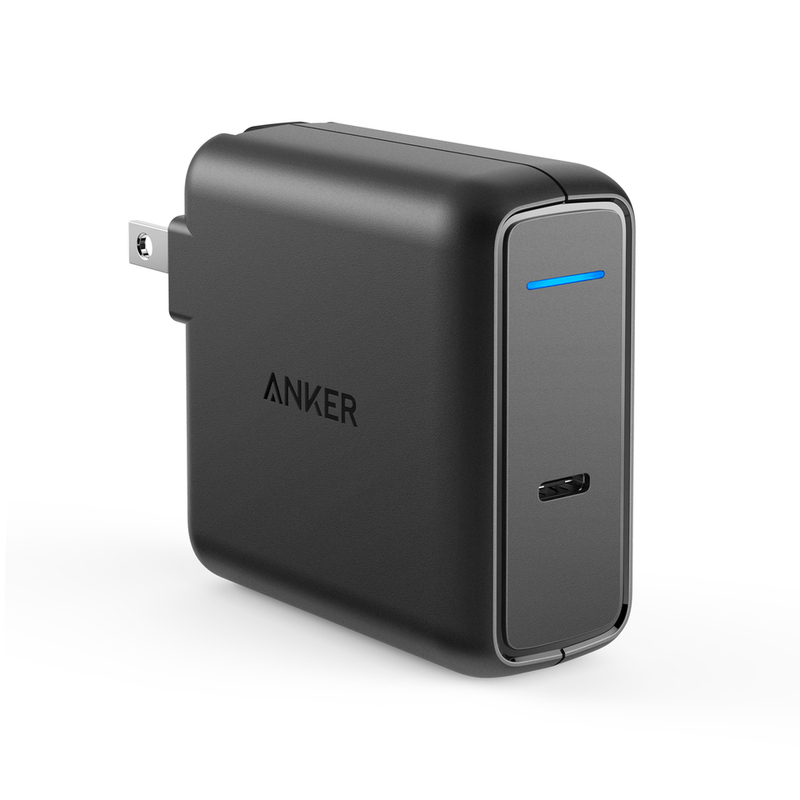 see if anker releases PD 4 soon. Early Power IQ 2.0 was 18w now PIQ 2.0 is 19.5w to overcome losses in the cable. I recommend making your device decisions at the same time as your charger decisions. Some of the asks we see here are ridiculous from an electrical perspective. 100W is going to be a huge lot of heat to put into a small form factor, you're inevitably going to have to have a thin slab type shape to dissipate heat, and if you did that as a wall charger you either have something which falls out of the wall socket or won't work in confined spaces. You can get close to this via multiple chargers and then use one of them in the wall or use two wall sockets or put them either side of an extension cord which goes in the wall. You then got 3 ways of plugging in. So I think we're looking at slower chargers which in the wall or full power chargers on the end of cords. I just spent a couple of hours with some isopropyl alcohol and some q-tips to clean a >2.5 year old Pixel C keyboard... because that tablet's 3A 5V input works well with shipping Anker products in a compact form factor for all of the chargers and Powercore. Every time I looked at newer devices I hit some kind of power problem. Not a good answer for late 2018, because come 2019 to make a 2016 tablet still work will involve an hairdryer and screwdrivers.